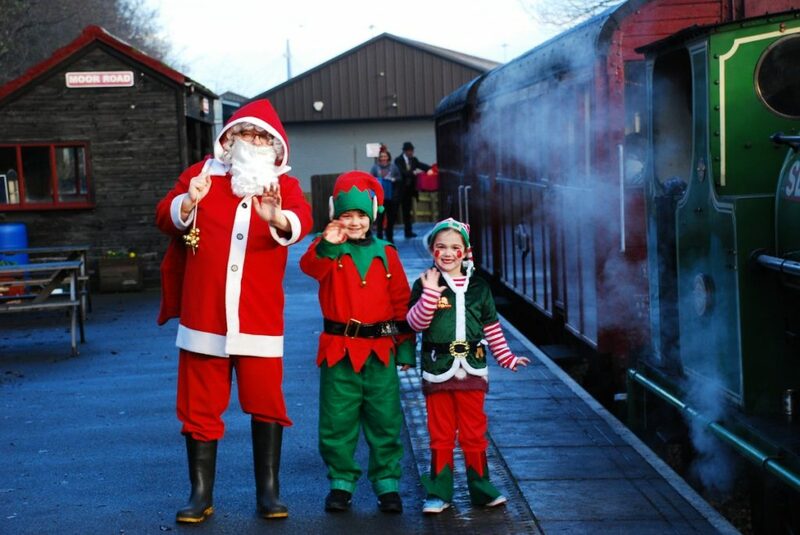 What could be more exciting for children at this time of year than a ride on a steam train and a present from Santa? Middleton Railway is preparing to launch its ever popular Santa Specials on Saturday (1 December 2018). Trains run each Saturday and Sunday through to Sunday 23 December. The first train of the day leaves Moor Road at 10am, the last at 3:45pm. Please try to arrive at least 15 minutes before the train on which you will be travelling is due to depart: if you arrive later than 10 minutes before its departure time you may not be able to travel. Every child under 12 will receive a present from Santa during the journey, adults will get a warm drink and a mince pie at Moor Road station. Prices, if booked in advance are £8.75 for adults, £11.75 for children aged 3-12 and £7.75 for children under 3, whilst babes in arms not requiring a present travel free. Tickets bought on the day are £1 dearer. All trains on Christmas Eve have already been booked. Book online here. Steam trains have been running on the historic Middleton Railway for over 200 years. It was the first railway in the world to use steam locomotives commercially and was designed to bring coal from pits in Middleton to Leeds to power the industrial revolution. The museum in the engine house also reveals the history of Hunslet as the centre of the locomotive manufacture for the world. The railway has been run by the volunteers of the Middleton Railway Trust since 1960.